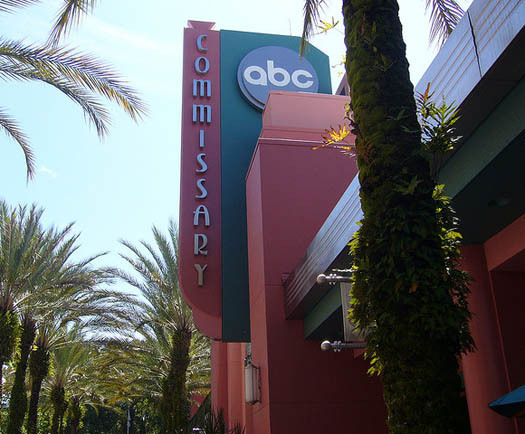 ABC Commissary is located in Walt Disney World’s Hollywood Studios. The quick-service restaurant is a studio-inspired cafeteria with an Art Deco setting. Film posters line the walls, and movie trailers play on the TVs. The ABC Commissary menu includes such items as Bacon Cheeseburgers, Chicken Breast Nuggets, a Mediterranean Salad, a Chicken Club Sandwich, and a Chicken and Ribs Combo Platter. 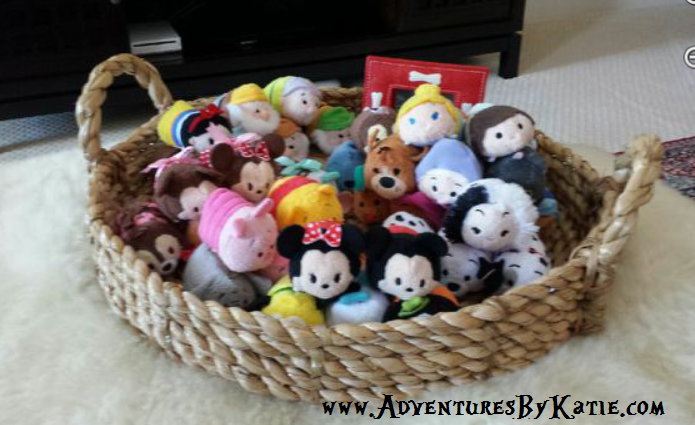 As I am both gluten-free and vegan, it is sometimes hard to find things to eat while in the parks. The allergy menus have options for gluten-free, dairy-free, egg-free options, but when you combine them together, it does not leave you with a lot of options. I used to go to the Backlot Express for an amazing Southwestern Salad, but they have since done away with that option. Backlot Express did not have anything to offer me other than fries and directed me to ABC Commissary. 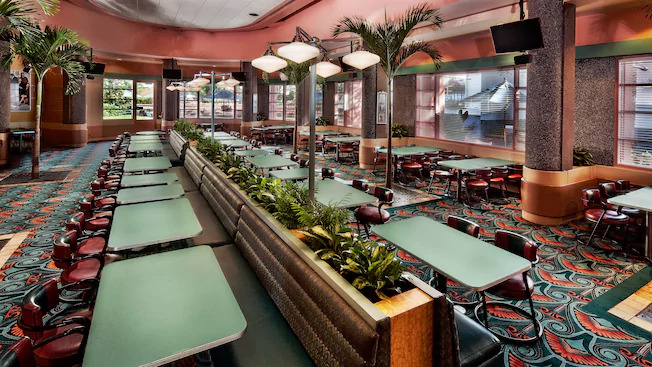 ABC Commissary shares a kitchen with the Sci-Fi Dine-In Restaurant, so I knew there would be more options available to me. I did not want a salad, so I talked to the manager, who then in turn found a chef for me to speak with. 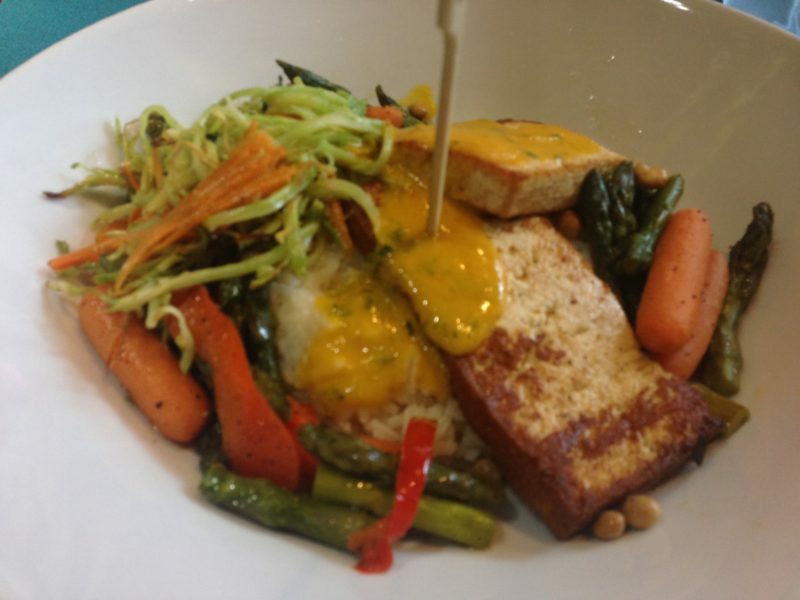 He threw around some ideas and we decided on tofu with a mango sauce, on top of vegetables and rice. The chef said it would take a while to make, but he would bring it out to me when it was ready. The manager and chef were very accommodating. It was very crowded and not many tables were available. The manager found us one and sat us down while we waited for our food to ready. The meal was very tasty. The mango sauce had a delicious flavor and tied the dish together. I know that it was a lot of work for the chef to make this extra meal for me, but he did it without complaining. 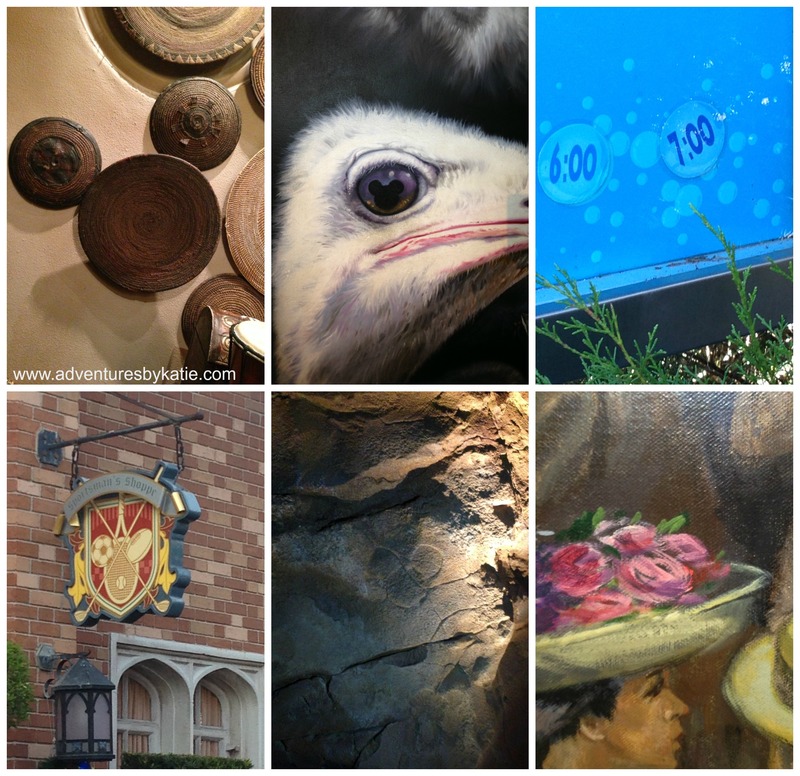 ABC Commissary will be my new go-to quick-service restaurant at Hollywood Studios! I’m glad you were able to find something tasty! It looks like it was good! 🙂 My brother has some food allergies, and I was always impressed by how much the chefs were willing to go out of their way to make sure he got something he could eat. Previous story Kids Skate Free this Summer!